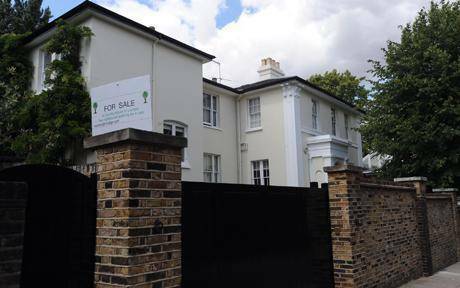 I recently read an article on the Telegraph website about a vendor trying to unload his £30million mansion. For some reason the vendor chose to neglect the expertise of an agent, consequently independently took charge of the marketing. Estate agency fees are usually about 2.5 per cent; by marketing the property without instructing an agent, the seller could save himself more than £750,000. 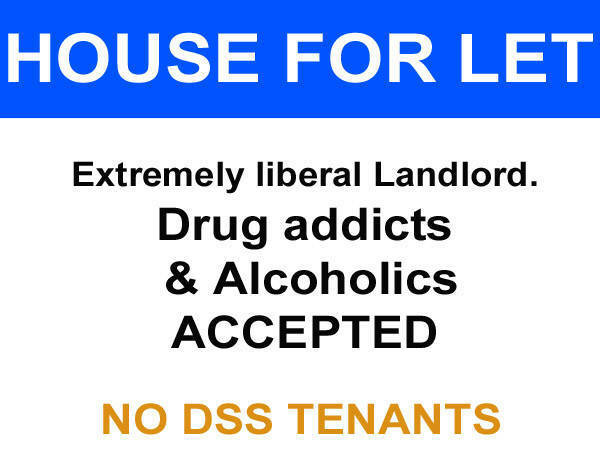 I’ve never actually thought about creating my own “To Let” sign when looking for tenants, but it does make sense. They’re cheap, easy to install, and creates local awareness. 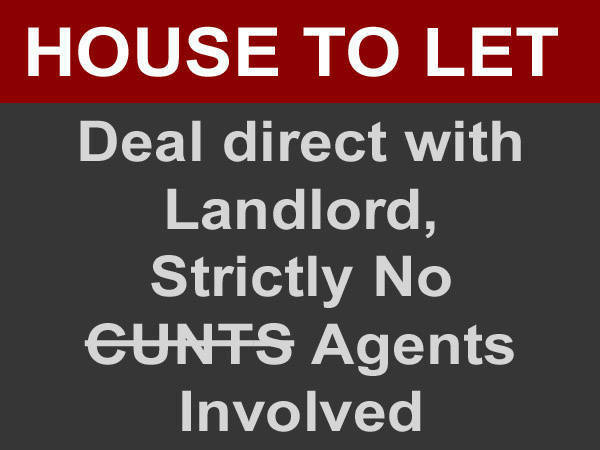 Since I’m a rabid fan of casting aside snake-oil letting agents and finding tenants for myself, I may put my artistic talent into use in the near future. In the mean time, here are a few brainstorming ideas, all of which I’m sure will contribute to very successful campaigns. 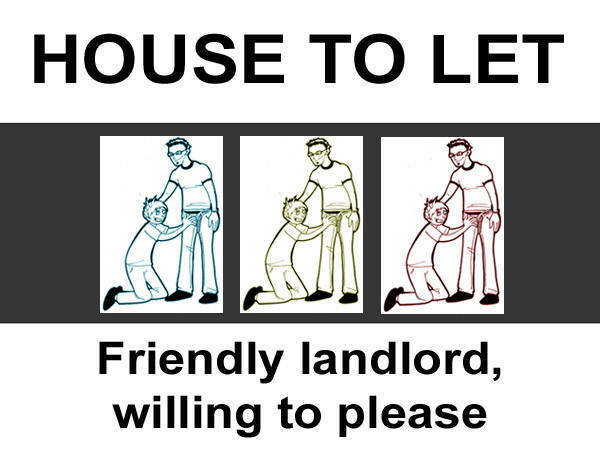 If anyone wants to use any of my designs to market their property (as I’m sure a lot of you do), that’s fine. Permission, granted. I like option 3 the best and although I am an Agent I can asure you I'm not a c**t! 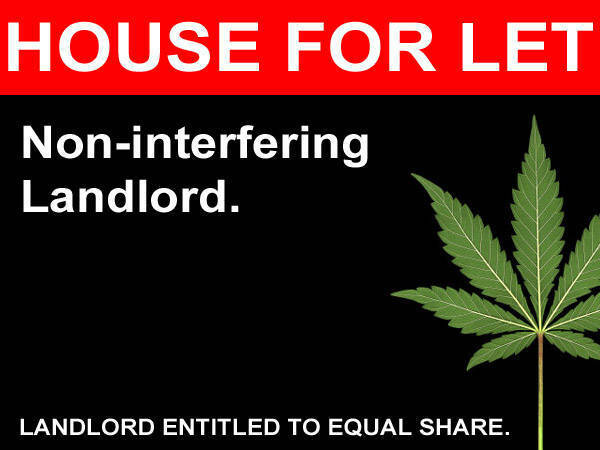 Let's say I'm an Agent dealing with mine and my family's properties only. Anyway just a quick question: Where can I get these boards made cheaply? Any suggestions? The cheapest I've manged to find so far is £35?? Please don't tell me this is the going rate. It's bloody expensive!! I'll try and find out what the going rate is for you, bear with me. Although, I suspect it maybe a case of buying in bulk to save money! "Hugely dependent on number of colours and quantity, but I'd say about £6 on average with posts and slips. Signworld.co.uk and signboard.co.uk are the usual suspects for agents"
Apparenly they charge £14 + VAT! Two colour signs seem to start at about £35-£40 for a single sign but you need to supply your artwork in a suitable format for printing. The more you order the cheaper they get but the more colours the more expensive they are. Have a chat with your local sign maker! Don't forget the signs need to SECURELY mounted to avoid causing injury if they fall off due to incompetant fixing or weather related issues. If putting up yourself make sure your public liability insurance is active! Thanks for the heads up Jools!